Four villas enjoying superb views close to Mongonissi Islet and just a few metres from the beach. It may be a small world on the island of Paxos, but within its few square miles there is more variety in the natural landscape than any of the larger Greek islands. From the rugged west coast cliffs, where the Adriatic has pounded the rocks into fantastic shapes, to the cool wooded interior with its traditional hamlets and ancient footpaths, the fishing and yachting port of Gaios and herb clad hillsides of the southwest corner near the yachtsmn’s haven and safe family beach of Mongonissi Islet, there is something for everyone. 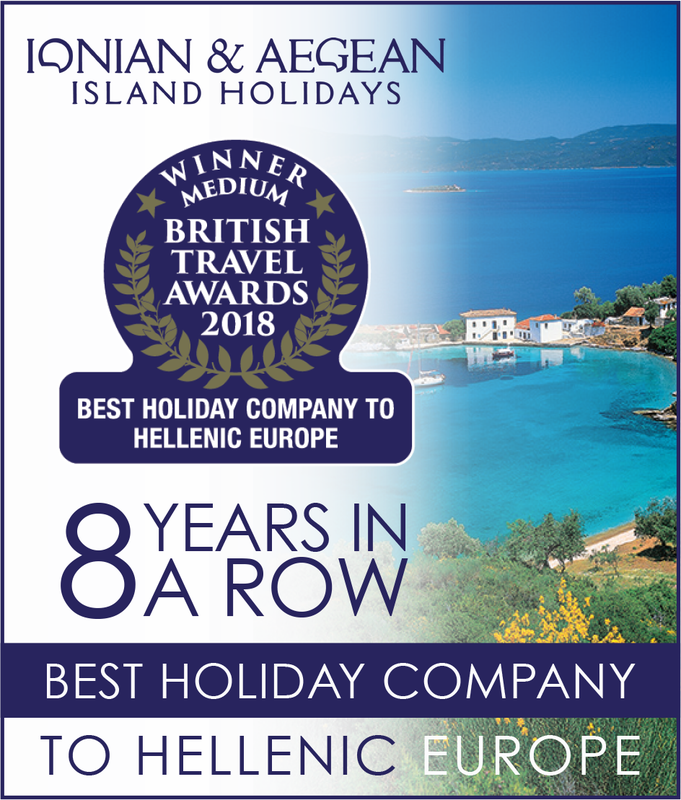 And the Kantada Villas, less than 50 metres from a delightful small beach, with views across the Inner Ionian Sea to the Epiros mainland are a perfect base for exploration as well as relaxation. These four identical detached villas, sharing a large swimming pool, have all been given good greek names from the distant past, Dionysi, Stelios, Eleni and Petros. With well-furnished cool open plan interiors, each villa opens out onto a shaded verandah with suitably comfortable tables and chairs for contemplating the view. All the villas have a twin bedded and double bedroom with en suites in both, well equipped kitchens and the essential BBQ area for al fresco dining. Gaios, with its excellent choice of shops, mini-markets and tavernas is 5 minutes’ away by car or a leisurely 20 minute stroll leads to the nearest taverna and the sheltered beach at Mongonissi, joined to the “mainland” by a causeway. Also recommended is a day out by caique to the tiny island of Antipaxos with its shining white sandy beach and crystal clear water. NB: Due to its layout the villa may not be suitable for families with young children.